England-July 2016, God's Amazing Grace Alone! FATHER YOU are Sovereign over all! Thank You! Ecclesiastes 3:1 states that there is a time for everything, and a season for every activity under the heavens. 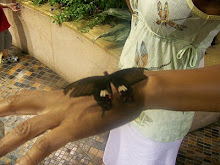 With that very profound truth, I have decided to retire my "Free Spirit Butterfly Blog." Compliments of "google" I have printed this blog along with all of your loving and heartfelt comments. It is so very cool to have a created a book which has captured my authentic and transformative life's journey with people that I've never met but have grown to know and love immensely! You are forever inside my heart!! I will always be a #FreeSpirit and I will forever be a "beautiful butterfly," but my truth and my passion are over at my other blog: "His Princess Bride!" I am a beloved disciple and committed follower of Christ Jesus; my Lord and my Savior. I love to publicly journal about my journey with Jesus and all that He's done, is doing and will do in my life. And just as I type that, I am reminded of a scripture that has surfaced in "my life" at least 6 or so times in the past two weeks. Matthew 16:25 "For whoever wants to save their life will lose it, but whoever loses their life for me will find it." Mark 8:35 "For whoever wants to save their life will lose it, but whoever loses their life for me and for the gospel will save it." Luke 17:33 "Whoever tries to keep their life will lost it; and whoever loses their life will preserve it." John 12:25 "Anyone who loves their life will lose it, while anyone who hates their life in this world will keep it for eternal life." There has to be a very profound reason why Jesus put this scripture in all of His gospels and a very profound reason that God is speaking this truth to me at this "season" of my life. Whatever the reason....I'm #listening my Lord. I'm listening. #POETRY is still one of my other passions and I'm still inspired to post something there as well. Love, peace and blessings for all that your heart desires! Psalm 37:4 Delight yourself in Him and He will give you the desires of your heart! WOW --- I CANNOT BELIEVE IT's HERE! This is going to be a very exciting year for me. Lord willing I will be retiring from law enforcement in December. I'm so excited. I will have been a police officer for 25 years of my life. That's so incredible to me. And what is even more amazing is the fact that Jesus, My Lord and My Savior, has walked with me the entire time and I was completely unaware until 6 years ago. He sustained me then, as He does now and will continue to do so when I turn in my badge and my gun! I will continue to put my future in His hands as walk toward His faithfulness and away from a more than generous annual salary. I will trust Him as I hope to transistion into the public school system. YES, my new dream is to become a substitute teacher. I'm doing cartwheels inside my heart knowing that I can make a difference in the lives of many, many children. He is the only one who wants the very best for me and the only one who can give it to me! God is up to something! I can just feel it!!! Get ready for your blessings, if you've been obedient! Get ready for your judgement, if you have not. Merry Christmas blogger friends, family and those of you who just stop by for a brief moment. Life gets busy and we oftentimes get distracted with our many tasks and to-do list. I for one am guilty of that. But the bulk of my time is spent serving My Lord and My Savior. He is My King and He is the reason that we have life to begin with. I for one will be at the feet of My Lord. I anticipate the day when I will see Him face to face and humble myself in His presence. Sending love and praying that on this Christmas Day, you and your loved ones will feel His overwhelming grace, protection and presence as you move about celebrating a day that HE gifted to us. No other reason than the fact that He loves us. #2015 Expect God's Best but in return....give Him yours! If you do not have a relationship, [not religion] BUT a relationship with Jesus, you will not understand the bible. Come to Jesus and get an understanding of His word and His ways. Not over night, but yes my friends...over time He will gift you with wisdom, discernment, peace, joy and hope unlike the world. "When we tell you these things, we do not use words that come from human wisdom. Instead, we speak words given to us by the Spirit, using the Spirit’s words to explain spiritual truths. But people who aren’t spiritual can’t receive these truths from God’s Spirit. It all sounds foolish to them and they can’t understand it, for only those who are spiritual can understand what the Spirit means. Those who are spiritual can evaluate all things, but they themselves cannot be evaluated by others. For, “Who can know the LORD’s thoughts? Who knows enough to teach him?” But we understand these things, for we have the mind of Christ." He is the ONLY ONE who wants the very best for you. His best is way better than your best! Trust me beloved, I've experienced it for myself. NO GREATER LOVE! This is Denise Michelle Fuller. I was searching google a few months back and there she was. I like to search my name every now and again just to see if there is anyone out there pretending to be me. You never know with the increased risk of identity theft and all the predators searching the world wide web. And, as trusting as one can be, there are still some crazy and desperate people out there waiting to seize their moment. I just #Praise God that she isn't one of them. Not only does she have a gorgeous smile [just like me] but she's also a Christian. I just love her to pieces. She and her husband, Mark travel from state to state in their RV and she also blogs about her journey. Imagine that! Does God had a great sense of humor or what?. How freaking awesome that there are two godly girls with the same exact name loving on the same Lord and trusting Him with their whole hearts! I'm so anticipating the day that we will meet, hug, laugh and cry! I'm just as excited to see what the Lord will reveal in her her life as she is continually traveling and trusting in Him to provide, comfort and protect their journey. His Spirit indeed lives in me! His word is alive and active! The below photos are just a glimpse of our awesome and amazing Grace Brethren Ladie's Retreat in Ocean City, Maryland. This was the weekend of October 24th-26th! He Is a MIGHTY Redeemer! What I know for #sure! I have been through many trials in the past. And although I celebrated my 50th birthday this past July [pause: HALLELUJAH!] I've only been saved for 6 years. But I am here to tell you that all that "stuff" I suffered, endured and experienced was not in vain. "...to bestow on them a crown of beauty instead of ashes, the oil of joy instead of mourning and a garment of praise instead of a spirit of despair. They will be called oaks of righteousness, a planting of the Lord for the display of his splendor." Yesterday He used me in the most amazing way and as I reflected on it last night before turning in and again this morning, I'm reminded of His word and His truth that He had it planned long ago. #NOTHING is new to God! How incredible is He to know all things and to have always known all things?!?! We could get stuck on that...who He is and if He in fact exist.....OR we can choose to #believe. And since I have chosen not only to believe, but to surrender. These past 6 years have been the most amazing journey of my life. And knowing my Father, He ain't finished yet! He has blessed me with one blessing after another and His promise in John 10:10 is so very true. All of His promises are true, but as long as we live apart from Him, we will never know the goodness of His heart and the love that He wants to so graciously lavish on us. And, speaking of love, He is using me to speak at our upcoming Ladies' Retreat. I am overjoyed to be sharing "the joy of being single" with some of the women in attendance. The title that I have chosen to give my session is: The Lover of Your Soul. That's what He is to me and that's what He can be to you; male or female. We were all created with a longing in our hearts. Yes, a spouse or significant other can meet those needs, but not every single need and not all the time. Jesus is the only one that can fill any empty space or place in your soul. He created us for fellowship with Him. God thoroughly delighted walking in the [garden] with Adam before sin came into the world. Therefore, He sent His Son to die on the cross and redeem us back into a loving and intimate relationship Him. Choose to walk this life's journey with Him and open the door as well as your heart to the endless possibilities and the endless blessings that the world simply cannot match. This Song Is My HAPPY Place!